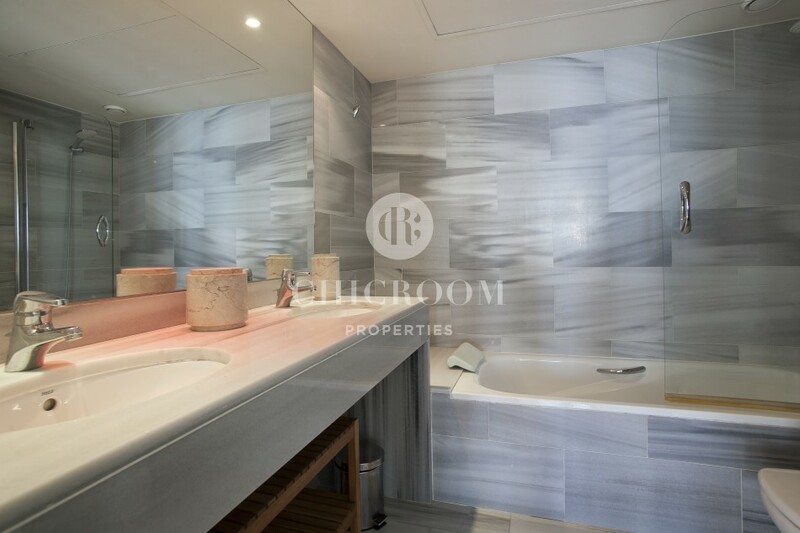 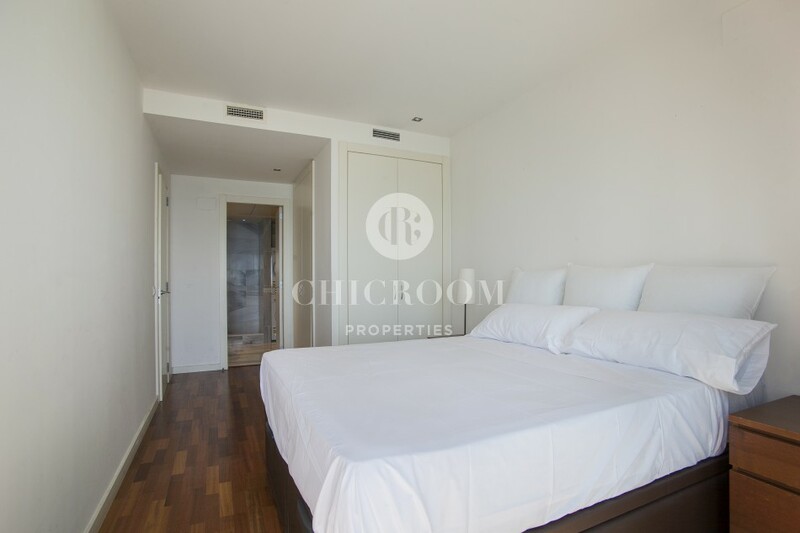 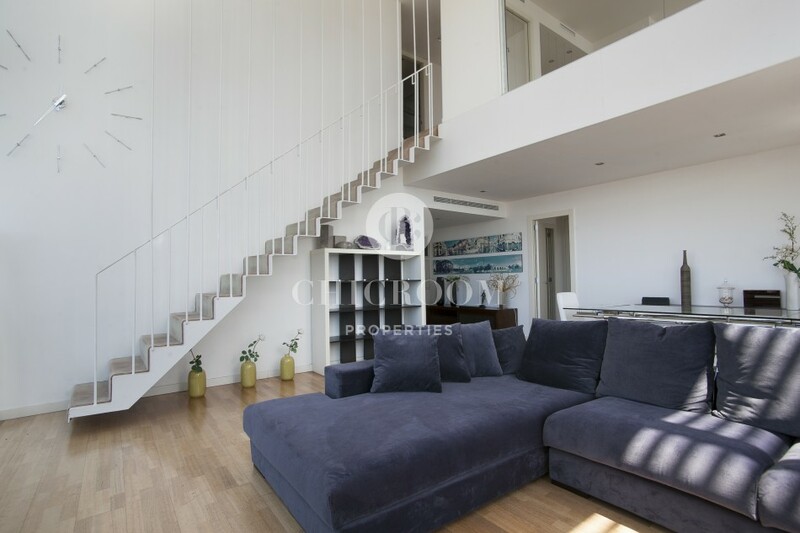 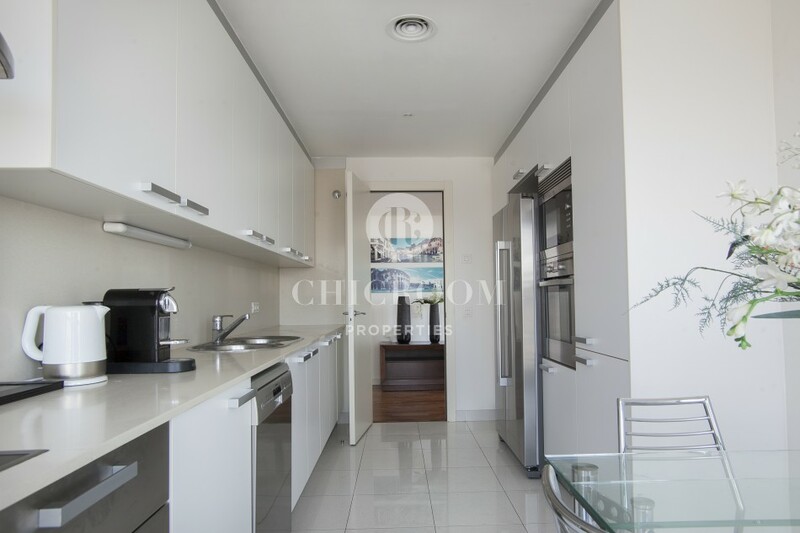 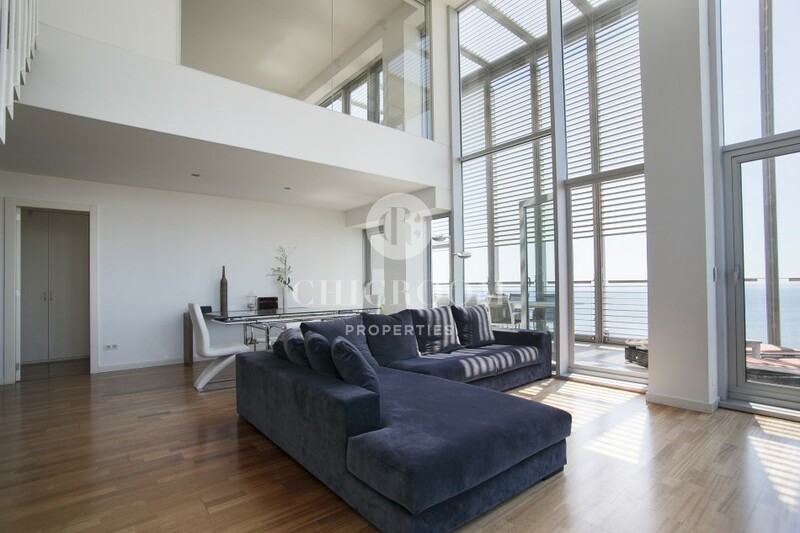 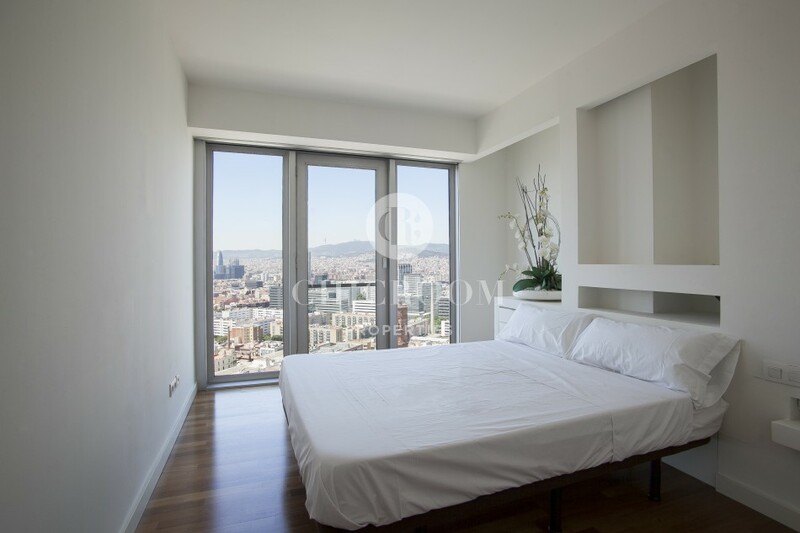 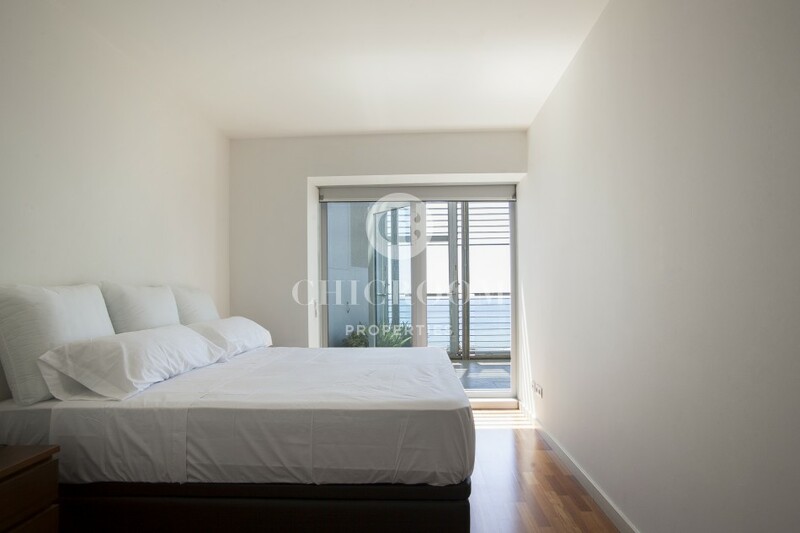 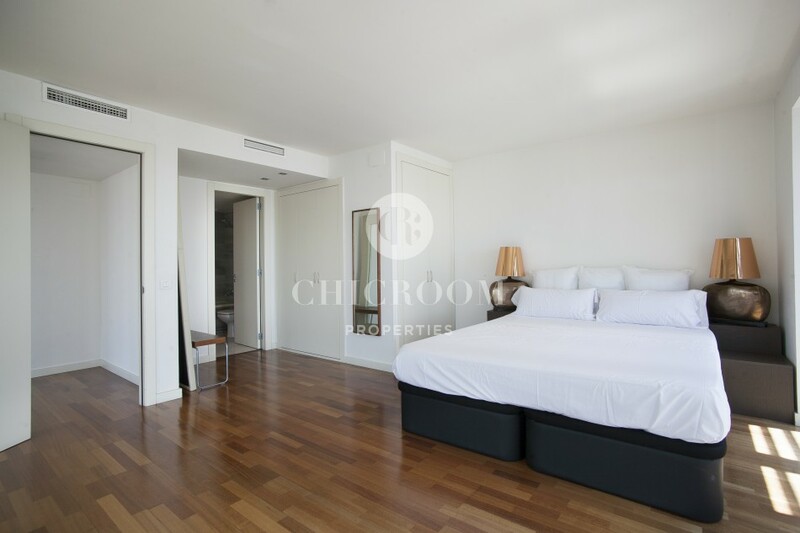 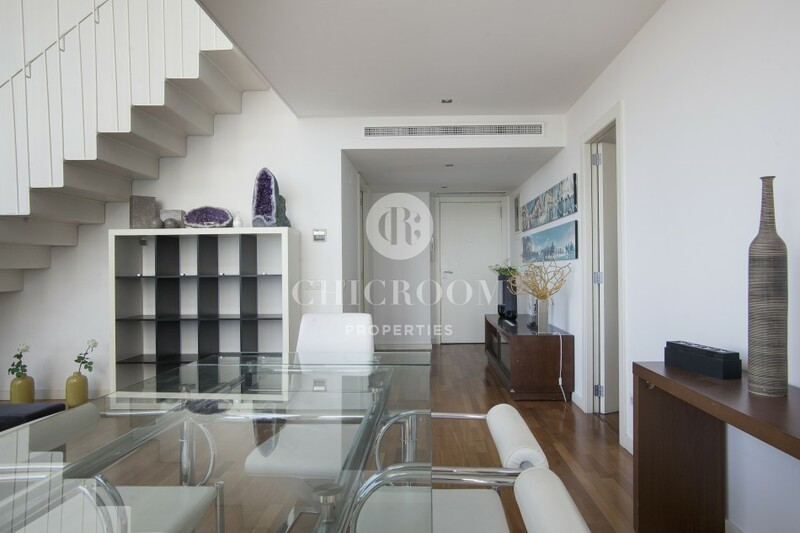 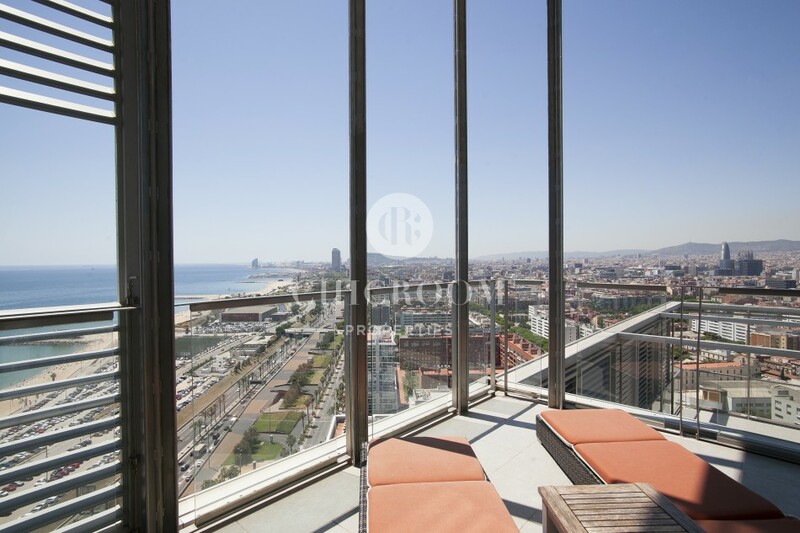 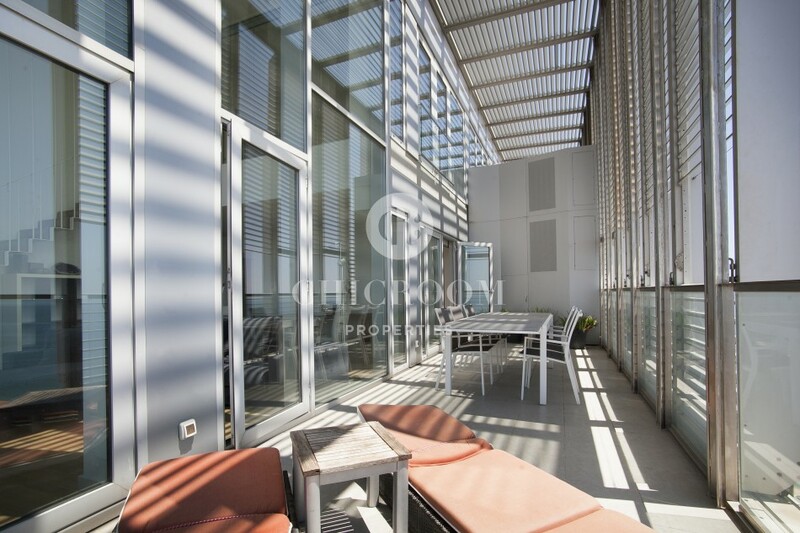 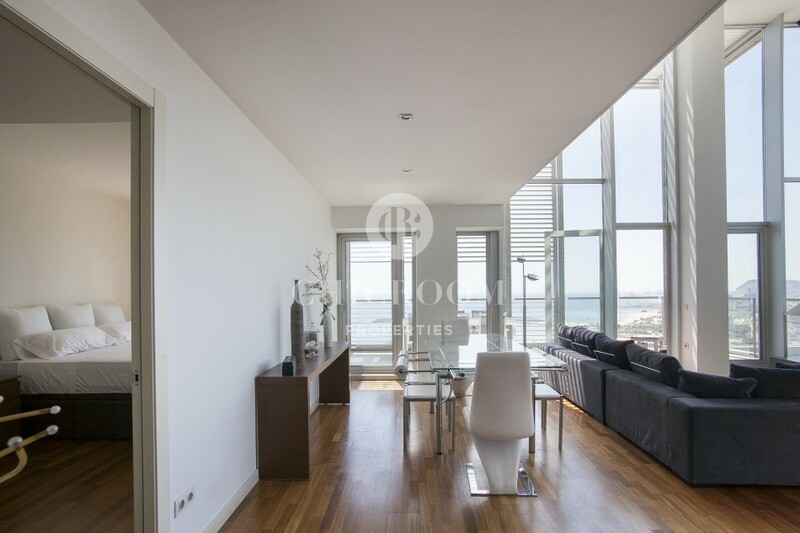 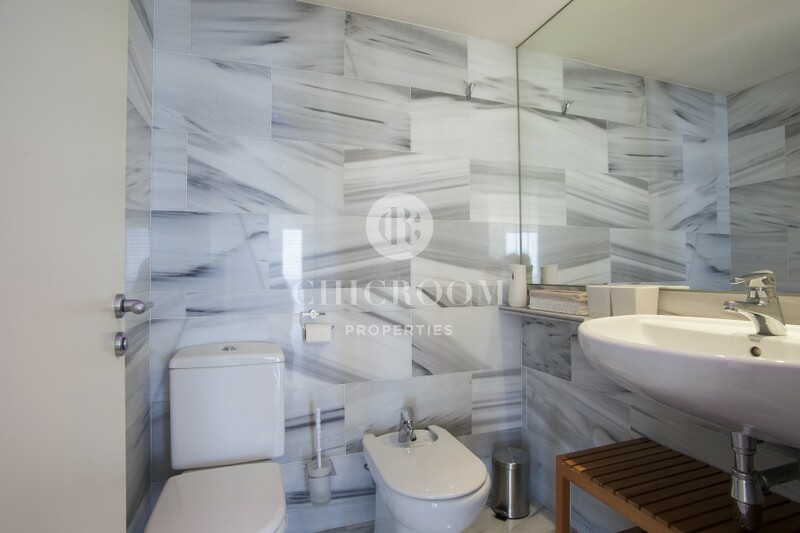 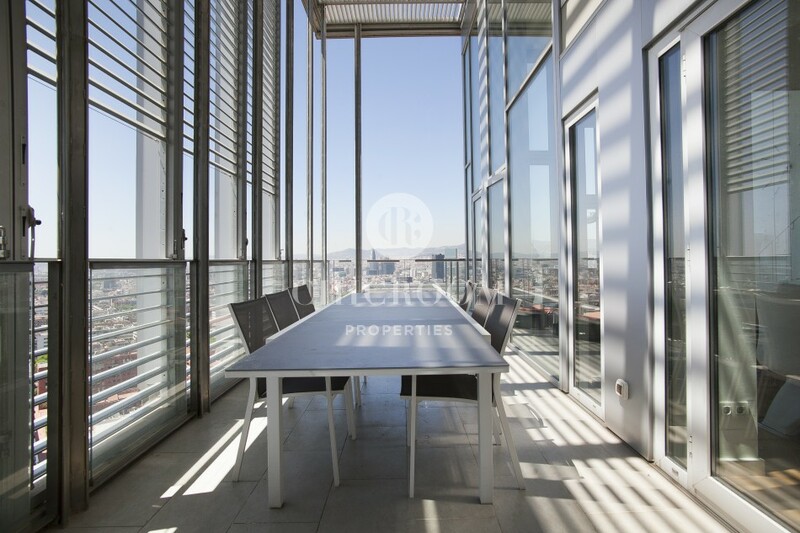 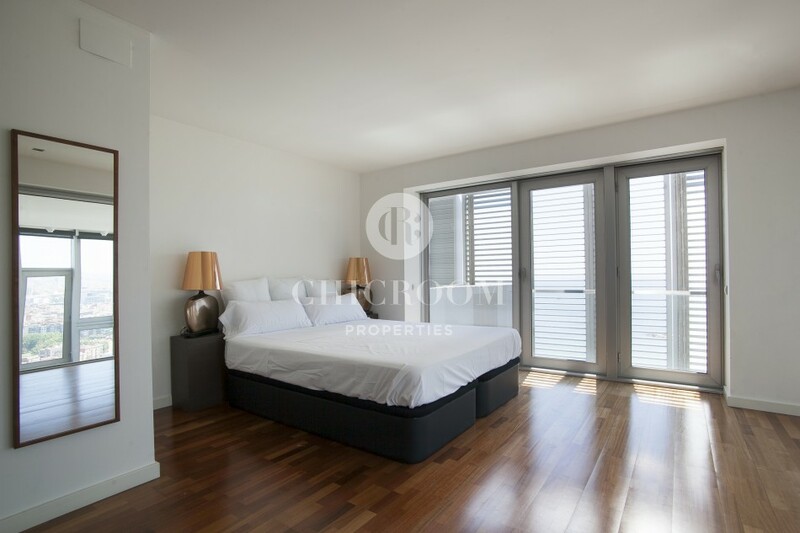 For those in search of a stunning and unique luxury property in Barcelona, this mid and long term apartment for rent with sea views in Diagonal Mar Barcelona is the perfect spot. 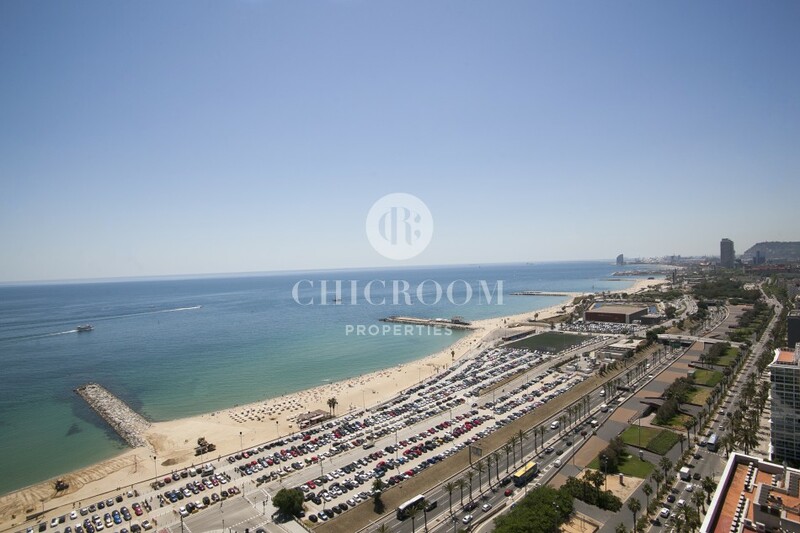 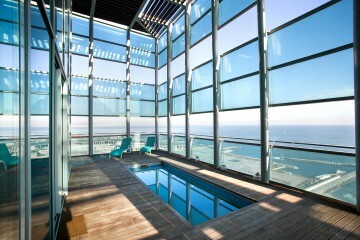 Located within the Diagonal Mar complex, right next to Barcelona’s beaches and not far from the city centre, the 180-m2 duplex penthouse will fulfil your wildest dreams of a seaside stay in the Catalan capital. 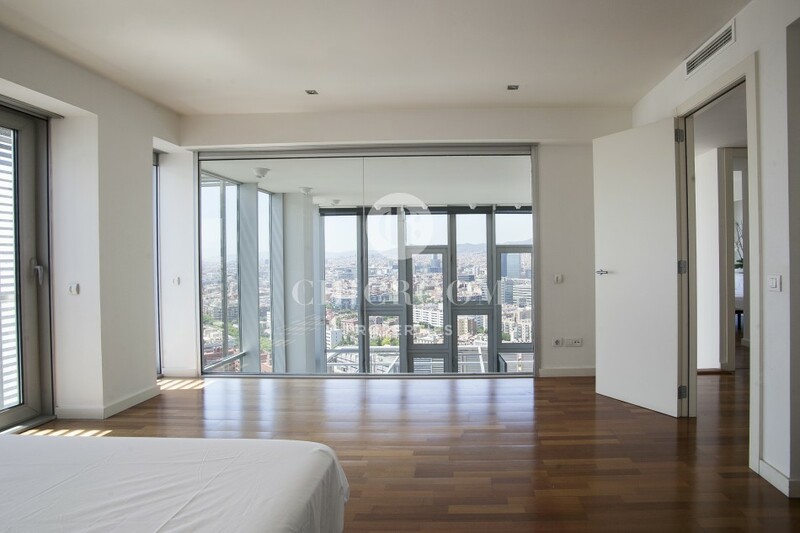 The building is fairly recent, dating to 2005, and the apartment is on the 25th floor. 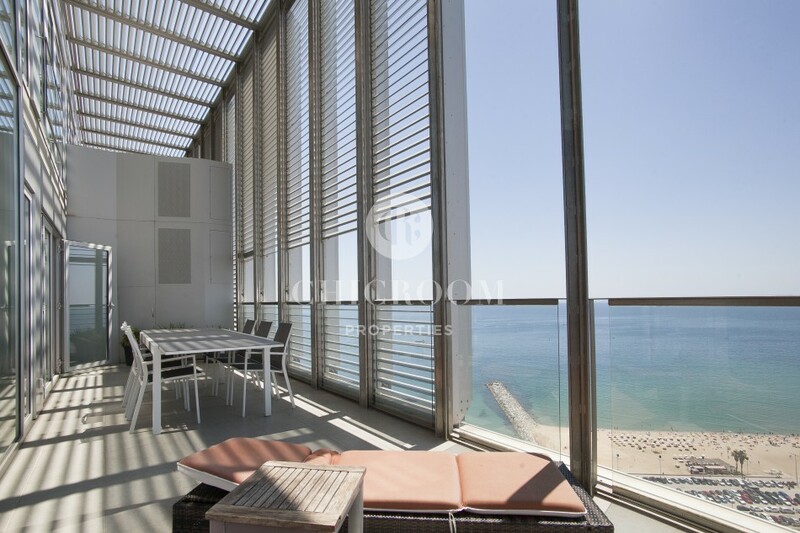 Spend time relaxing on its 30-m2 terrace boasting floor-to-ceiling windows, chaise lounges, and fantastic panoramic views of the beach and the city. 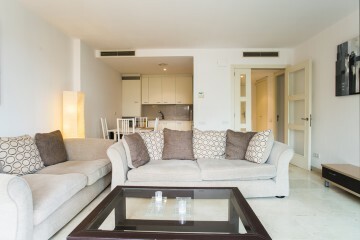 Each room of the apartment, which can comfortably accommodate up to eight guests, affords ocean views. 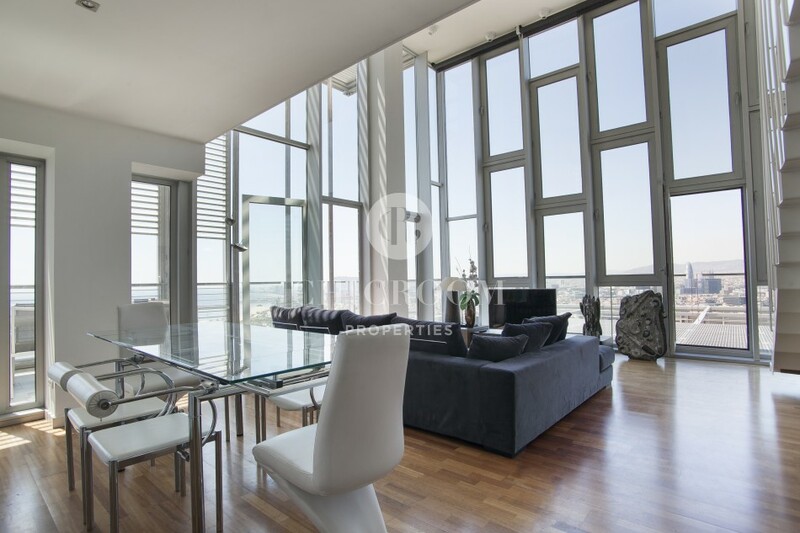 Four bedrooms and three bathrooms make up this large apartment; one of the bedrooms is lofted above the enormous living room, with a window leading onto the living room allowing for even more natural light and city views at night. 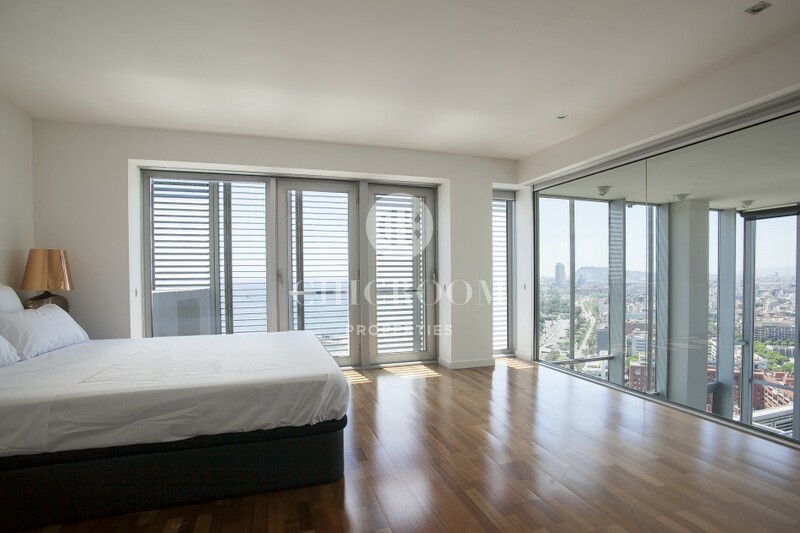 The living room is surrounded by floor-to-ceiling windows on two floors, allowing for a very good deal of natural light throughout the apartment. 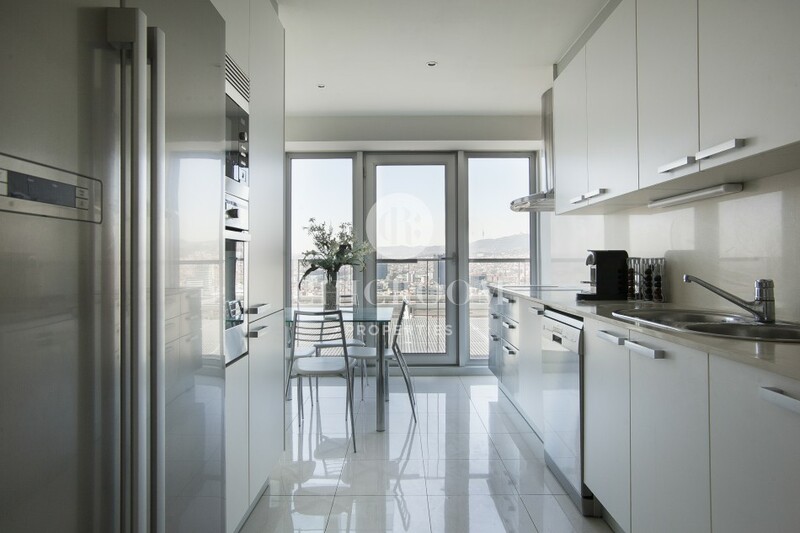 The dining area living room will comfortably accommodate 6-8 people, so take advantage of the modern kitchen – which also has a small eating nook – and its modern conveniences and appliances, and shop for some local ingredients at Barcelona’s famous markets before preparing traditional local dishes at home. 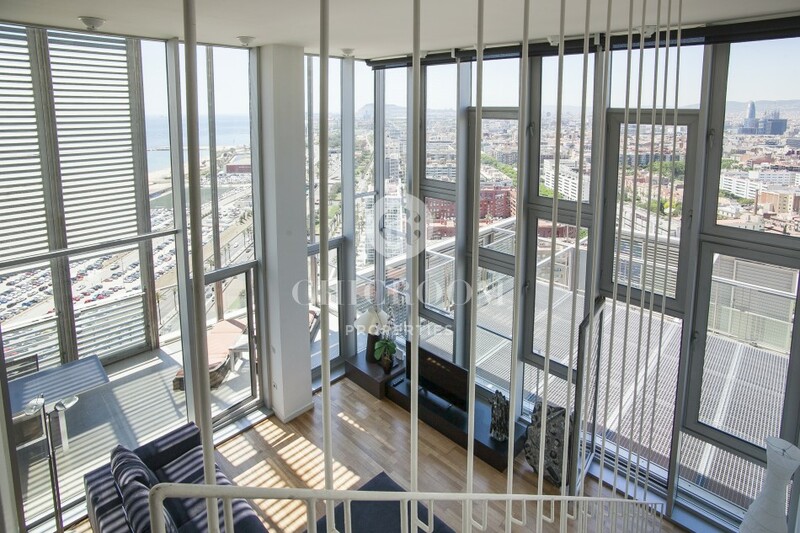 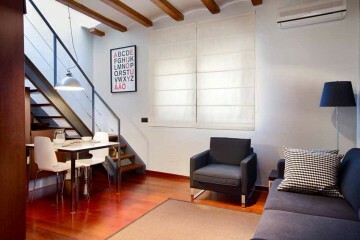 Thanks to the great location of this mid and long term apartment for rent with sea views in Barcelona you are but a short taxi ride from the city centre. 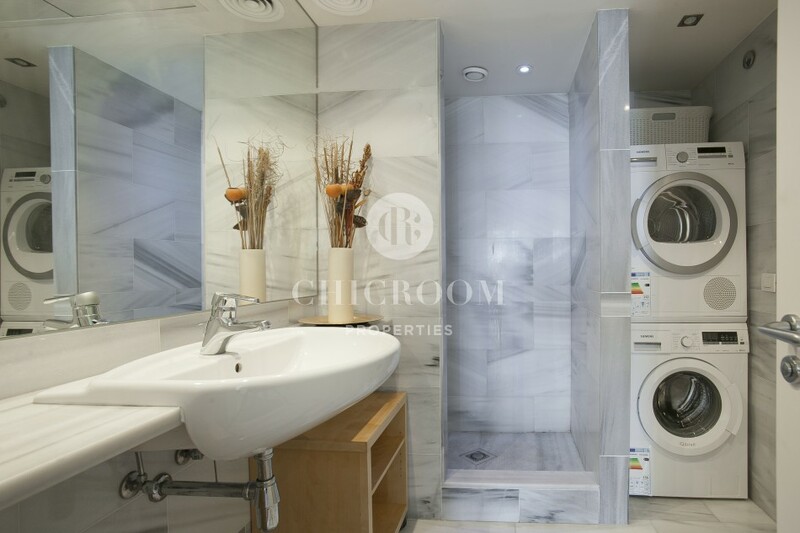 The luxury neighbourhood is home to a huge shopping centre, business centre and several luxury apartment complexes like this one. 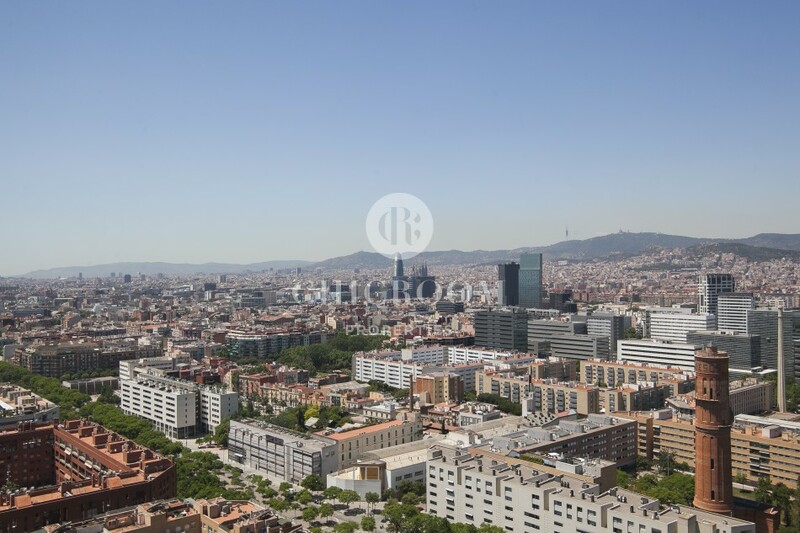 Guests with children can take advantage of nearby parks and playgrounds as well. 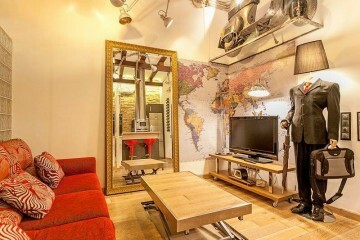 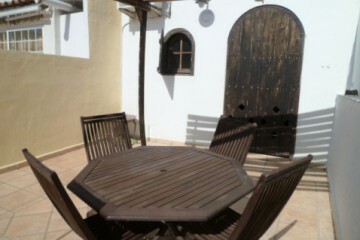 Mid term rental price negotiable depending on the season and payment conditions.